Patrick Gray and Justin Skeesuck completed the Camino de Santiago in 2014. What set them apart from their fellow pilgrims is that Patrick pushed Justin, who has a progressive neuromuscular disease that has slowly taken away his ability to use his arms and legs, in his wheelchair the entire 500-mile journey. You can read about their journey in their book or follow along in the documentary film that it inspired (directed by Terry Parish and Chris Karcher), both entitled I’ll Push You. But a journey of this nature, and a rare friendship like theirs, is sure to be a fountain of creative expression. 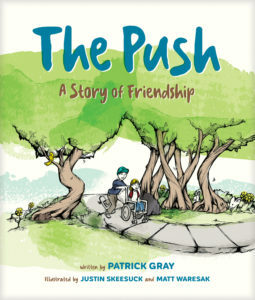 They continue to impart lessons to a wide audience, and they have grown that audience with the release of their latest children’s book, The Push: A Story of Friendship (Tyndale Kids). 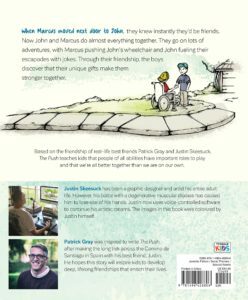 The Push tells the story of John and Marcus, two kid best friends. John lives in a wheelchair, having been born without the use of his arms or legs. When Marcus moves to town, the two form a fast friendship, bonding over a shared love of the Boston Red Sox. Marcus steps up and becomes John’s arms and legs, pushing him through the park, carrying him up and down stairs, feeding him, and helping him get dressed to play in the snow. While Marcus tirelessly gives himself in service to John, he also receives, a lesson that he shares with John later in life. The Push is based on Patrick and Justin’s friendship, even though Justin lost the use of his arms and legs later in life. It mirrors many of the ways Patrick daily carries Justin, epitomized in their Camino journey, and reveals the ways in which Justin shaped Patrick’s life, which we also read about and see in I’ll Push You. At the same time, The Push is also a fresh interpretation of Jesus’ lessons about service, most notably the passage in Matthew 25 about ministering to the hungry, the thirsty, and the stranger. While we are ministering to the body of Christ when we do these things, The Push reminds us that such service can make us better people, more patient, loving, and kind. 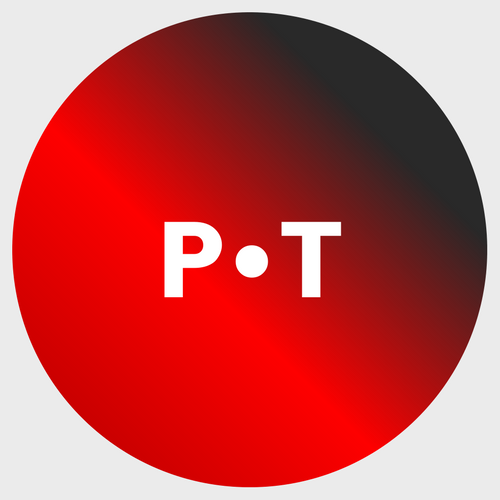 The Push releases today and is available on Amazon.